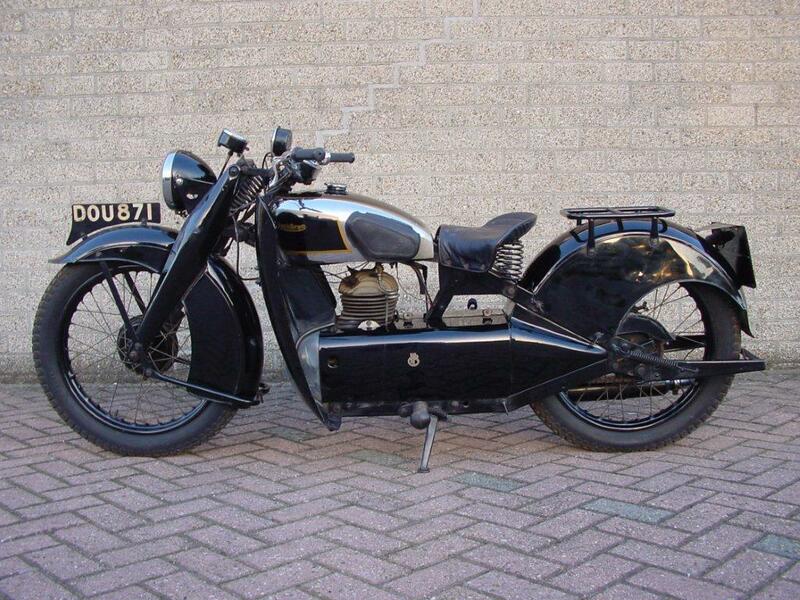 In the 1920’s the Coventry based firm of Mess. 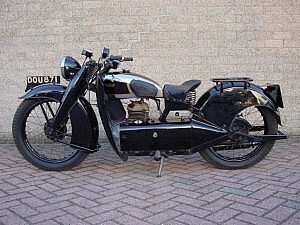 Francis and Barnett produced JAP-engined four strokes and Villiers –engined two strokes; in the thirties mostly two stroke power was used. 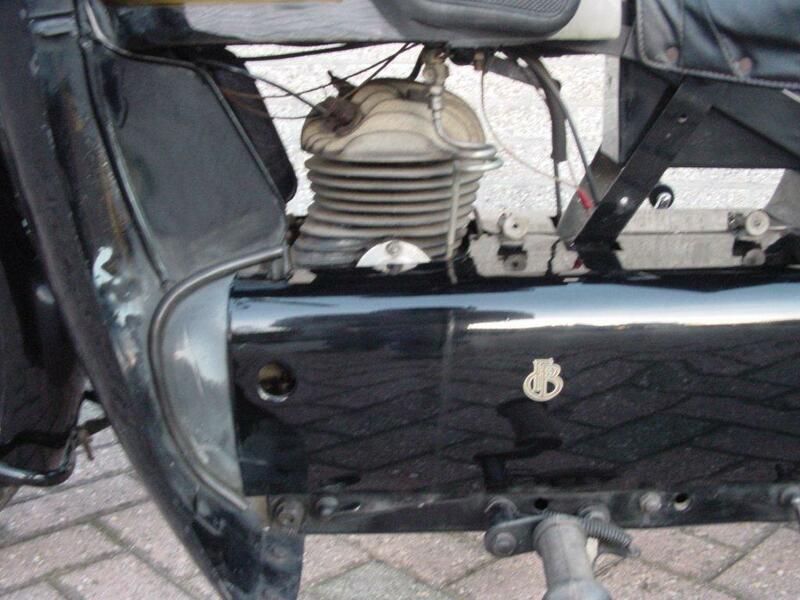 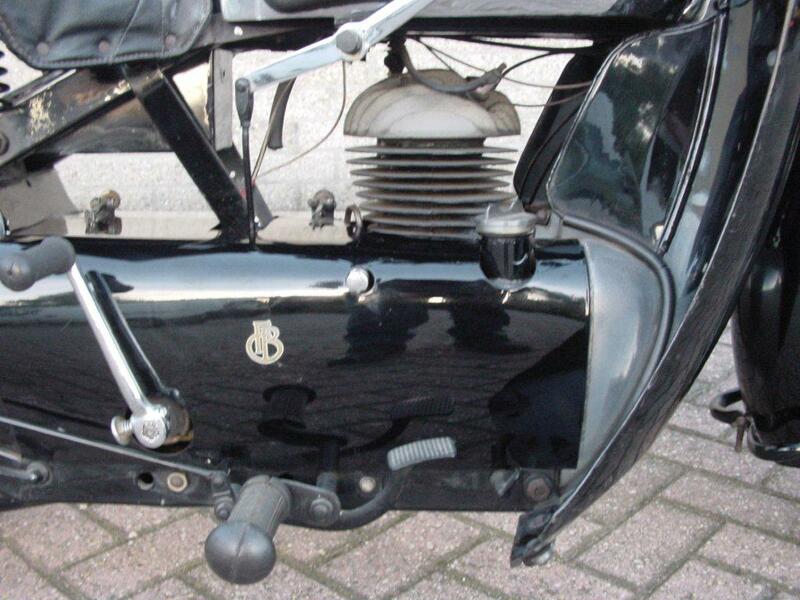 It was a general tendency in design in the 1930’s to utilize more two stroke power: in 1935 16.5 % of the machines offered in Britain had a two stroke engine, for the 1940 season this was almost doubled to 32.1 %. The “Cruiser” is a quiet and sedate machine; it was designed to provide comfortable riding without need for special wet-weather clothing. 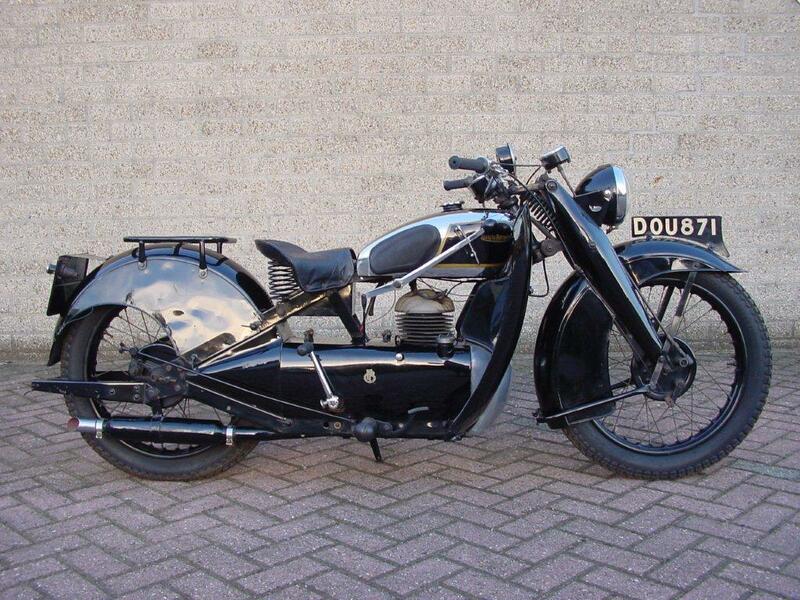 It has a fully enclosed engine and the leg shields and deep mudguards offer good weather protection. 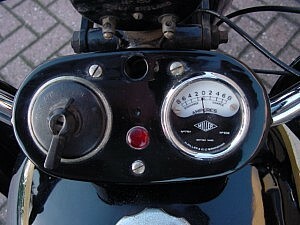 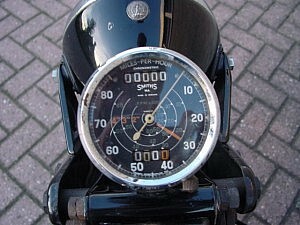 It is equipped with instrument panel and Smith’s speedometer. 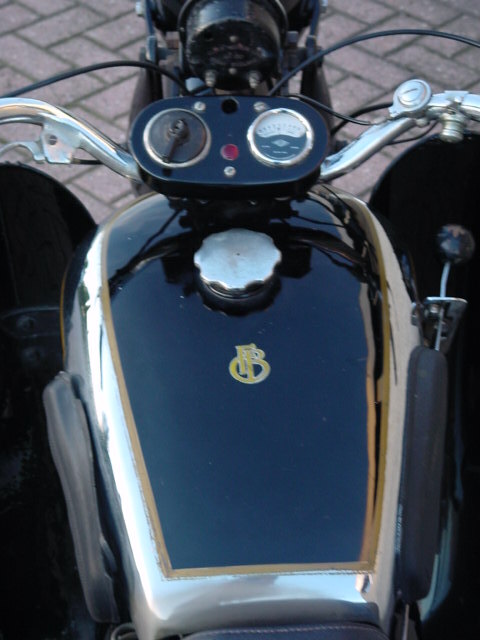 In the late fifties the machine was acquired by Lord Montague and it was subsequently displayed as part of his collection at Beaulieu; correspondence that comes with the machine shows that in 1958 the Cruiser was sent to the Francis-Barmett works to get a new enamel finish. The overall condition of the machine is very good.